Hi, i'm italian, so sorry for my english. I installed dolphin 4.0 and updated drivers and direct3d and setted direct3d9 (deprecated) but when i try to play there is only a black screen. There is the sound of the game but not the video. Some games shows me some picture like the bottom for choose "new game" or "continue". Try harder, what GPU and OS are you using, and what games exactly are you trying to play? 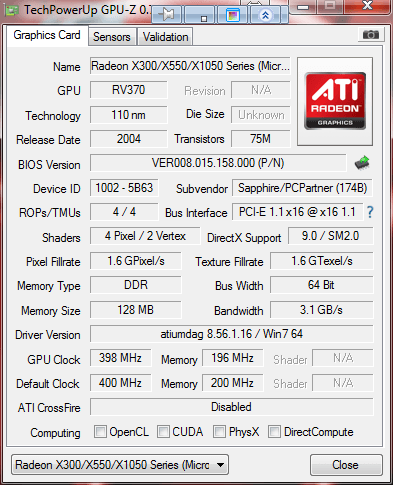 1- Use a program called CPU-Z and GPU-Z to get processor/graphic card information. They´re free and easy to find. 3- If you have Win7, why are you using D3D9 instead of D3D11? :/ so what can i do? Your CPU is similar to a mid-range first gen i3 mobile in terms of per-core performance. You will get around 80-90% speed in running the Pokemon games. Your GPU is very underpowered and old. Its only marginally better than the integrated graphics with that CPU.